Phone Bill Casinos: Mobile Phone Deposit & Boku Payments - Play Now! Want to pay and play online casino games without sharing your banking details or registering an additional account for a new payment method? Paying by phone bill might be the perfect option for you. It’s an increasingly popular payment method among UK gamblers for making quick and easy deposits. Get instant access to real money casino games by simply having the deposit charged to your phone bill. If this sounds ideal, take a look at our list of the top UK casinos that accept deposits made by phone bill. Not all casinos allow players to pay by phone bill, so the first step is to find one which does. 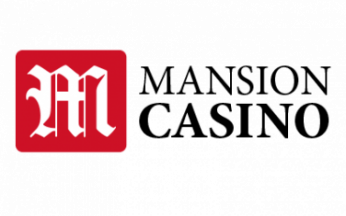 To make this easy, browse and compare sites using our hand picked list of the top rated casinos that support phone bill payments. 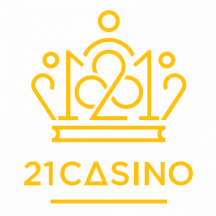 All these casinos are fully licensed by the UK Gambling Commission (UKGC) and offer a great range of games, promotions and bonuses. All you need to do is pick out your favourite. Once you’ve settled on a pay by mobile casino all you need to do is sign up, which will only take a minute or two. Most casinos will only need some personal information and your contact details. Lots of online casinos offer new players exciting sign up bonuses, so be sure to check out what’s on offer as you may be able to take advantage of some free spins or a matched deposit. We’ve carefully reviewed the top UK casinos so that you can compare the various offers available and make sure you get the best deal. If you haven’t opted for a no-deposit bonus, you’ll need to deposit to play real money games and claim your welcome bonus. Visit the cashier page and select the relevant option- it will usually be titled ‘pay by phone’ or ‘pay by mobile’. Then, simply enter your phone number along with your chosen deposit amount and hit confirm. After you’ve selected your deposit amount, the next step is to verify the payment. This may vary slightly depending on which service provider you’re using, but it’s typically a very simple of process which consists of receiving a text from your provider and either replying or clicking on a link. Now that you’re signed up with a funded account, you can start playing! Pay by phone casinos process phone deposits instantly, so you won’t have to sit around waiting. You can then choose from a huge range of popular casino games, from the newest slots to blackjack. How do phone bill payments work? Paying at phone bill casinos is an incredibly quick and easy method of depositing funds via either your mobile or landline. While it’s not as widely accepted as traditional options like debit cards, there are a few top UK brands that offer support for phone bill payments. There are several different pay by phone platforms out there, though Boku is most popular at online casinos. Other providers, such as PayByPhone, Payforit, Siru, and Zimpler, are also accepted at some casino sites. These basically act as intermediaries between your phone network supplier and deposit by phone casino, and charge any deposits you make to your phone bill. You can use most pay by phone bill services whether you’re on a long-term contract, monthly payment plan or pay-as-you-go. If you have a contract or monthly plan, then any deposits you make at online casinos will be added to your bill at the end of each month. For pay-as-you-go users, any online casino payments made via phone bill will be taken straight out of your balance. Of course, you’ll need to make sure you have enough credit to make the deposit. Why pay by phone bill? One of the biggest advantages of paying by phone bill is how incredibly simple it is to do. Most phone bill casinos only require you to enter your mobile number and then verify the payment, which should only take a matter of seconds. There’s no need to sign up for an additional account or share any personal or financial details- all you need is a phone number to fund your pay by mobile phone casino account. This makes it a great option for both desktop and mobile casino players. Pay by phone deposits are processed immediately, so you’ll be able to start playing as soon as you make your deposit. Some online casinos also offer players the chance to set pay by phone as their permanent deposit method, which streamlines the process even further. All of the major UK phone network providers support pay by phone, including O2, Vodafone, EE, and Three. Some landline providers, such as BT, also allow players to deposit at online casinos via their landlines. This process is largely the same as if you were to deposit via your mobile, apart from the fact that you’ll either be asked to call or be called by a recorded script which will guide you through the verification process. By charging the deposit to your phone, you generally won’t have to pay for it until you settle your phone bill. In many cases that could be the following month, which is great for cash flow. Just expect a slightly larger phone bill than usual- hopefully offset by your winnings if your luck is in! Most online casinos will allow you to pay by phone without affecting your chance to take advantage of welcome deals and other bonuses, which is great- who doesn’t like a free bet? These bonuses may only be available for a certain period of time, so make sure to claim them as soon as you sign up. There are some casinos out there which allow players to pay by phone but don’t accept qualifying deposits for welcome bonuses made by pay by phone. This is pretty rare, but it’s best to keep an eye out just in case- you don’t want to miss out on the chance to claim a great offer. Pay by phone usually comes with pretty tight deposit limits- most providers restrict players to £30 per day. There may also be limits on the amount you can deposit per transaction, as low as £10 with some providers. While this isn’t ideal for high rollers, for a lot of people this is a big advantage, as it is a very easy way of managing your spending and making sure you don’t go overboard. Paying by phone can also allow players to deposit smaller amounts than other payment methods, starting at just £3 at some casinos. If you’re looking to make larger deposits, your provider may allow you to increase the limits if you get in contact with them. However, note that this may not always be possible. Pay by phone bill is one of the safest and most secure deposit methods out there, mainly because it doesn’t require you to enter any personal or financial details and isn’t linked to your bank account. The fact that you’re using only your phone number to make payments essentially eliminates any possibility of internet hacking or fraud. Phone networks also have strict security and data privacy measures, which gives you extra protection. The fact that you’ll also need to verify payments makes the process even more secure. The only likely security risk is if your phone is lost or stolen. If this does happen, it is important to contact your network carrier as soon as possible so that you can get the phone blocked and cancel the sim card. It’s also probably a good idea to inform your pay by mobile casino as well, just to be safe. Pay by phone is generally a low-cost option, as the mobile service providers and most casinos will not charge any additional fees. Services such as Boku charge the casino rather than the player, but now use direct carrier billing rather than premium SMS. This means that the operating costs are low, and most online casinos accept the transaction fees without adding any charges to your account. There are, however, some casinos where this may not be the case, so make sure to check in the terms and conditions just in case. The only other fee you may incur is for receiving and replying to the verification text messages if you’re on pay-as-you-go, which you can check with your phone network provider. The one major disadvantage to using pay by phone is that you won’t be able to make withdrawals using this method. This is easy to understand, seeing as your phone bill is a payment system and not a financial account, but it’s important to take into consideration. So you’ll need to set up an alternative banking option to make withdrawals, such as via your bank account or an e-wallet like PayPal or Neteller. While it is an increasingly popular payment method, depositing by phone bill leaves you with a more limited choice of casinos, in comparison to debit card users, for example, who are spoiled for choice. Luckily, you can check out our list of the UK’s top pay by phone casinos to make finding one quick and easy. The deposit limits in place mean that phone bill casino payments aren’t ideal for high rollers. However, it’s still a great payment method for players looking to make fast deposits without signing up to an additional account or disclosing sensitive information, such as bank details. Want to pay by phone at your favourite casino? Check out our list, compare and sign up to claim your exclusive welcome bonus today! Can I play all casino games if I pay by phone bill? Yes. There are no restrictions on what games you can play at online casinos when you pay by phone bill., so you can enjoy slots, roulette, live dealer games and more. No. As most pay by phone systems only require a phone number, you don’t need a smartphone. You won’t need to download an app to pay by phone either, so you can use pretty much any phone. Do pay by phone bill casino deposits show up on my bank statement? As pay by phone deposits are charged to your phone bill they will not show up on your bank statement. The only thing that will show up is the payment you make to your phone provider when you settle your bill. Many countries have strict regulations on gambling, so first you’ll need to check if you can legally gamble and access your site when you’re abroad. If you can and you want to pay by phone, you should check with your network provider and casino to see whether there are any additional charges. What if my pay by phone deposit doesn’t work? 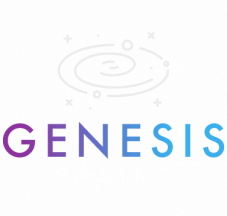 If you experience any issues making a pay by phone deposit you should contact your casino’s customer services team for information and support. Which phone payment systems can I use at online casinos? There are now a variety of reliable payment processor companies who make it easy to charge payments to your phone bill. Boku is one of the leading global mobile payment systems used in more than 68 countries, and allows users the freedom to make secure payments to UK mobile casinos using their phone bills. Pay By Phone is the market leading ‘pay by phone’ payment operator for parking, but works just as well for online casinos, removing all the hassle of having to deposit with your bank or credit cards and replacing it with fast and simple SMS billing. Payforit is another company that works alongside major mobile network providers, including Vodafone, O2 and Three.